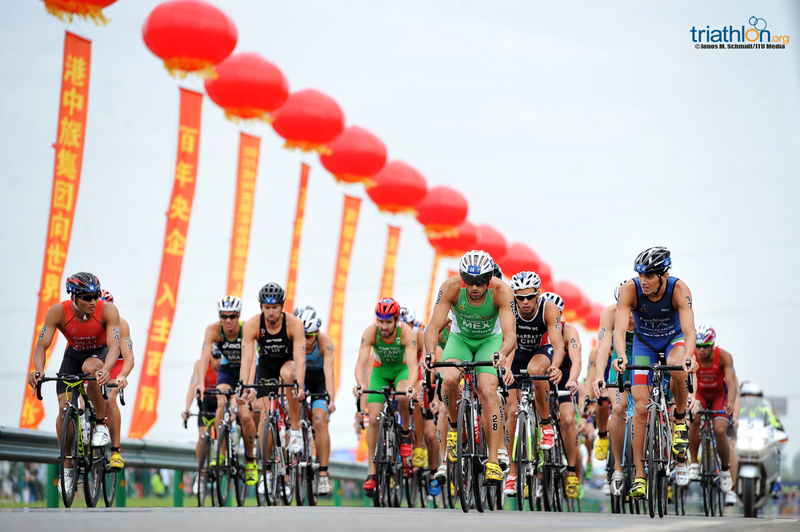 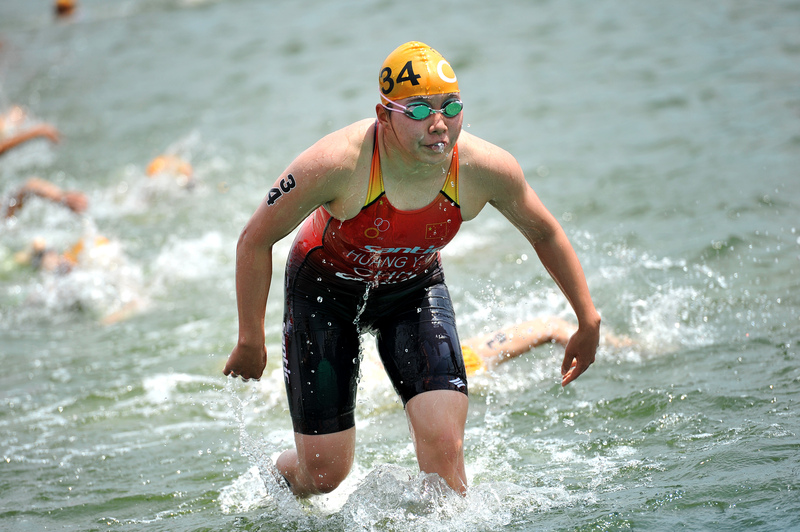 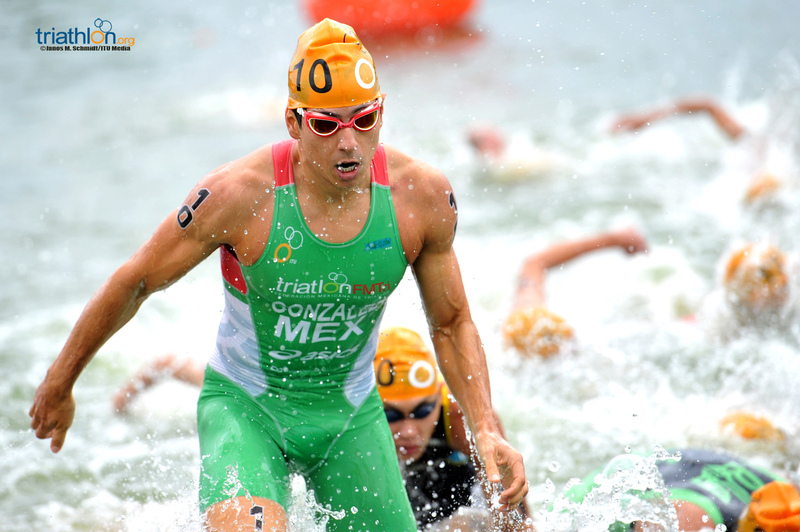 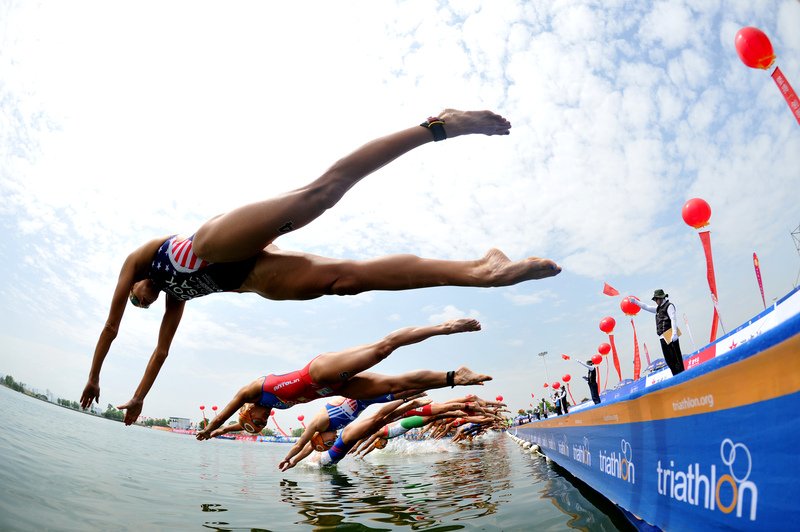 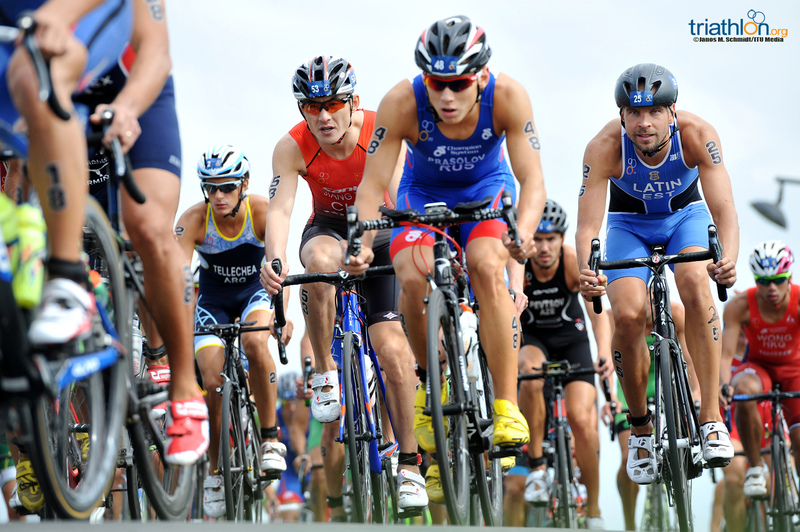 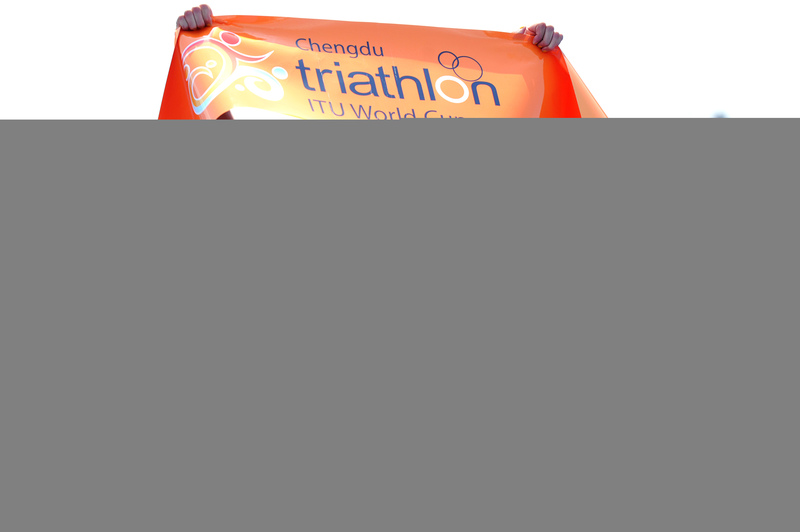 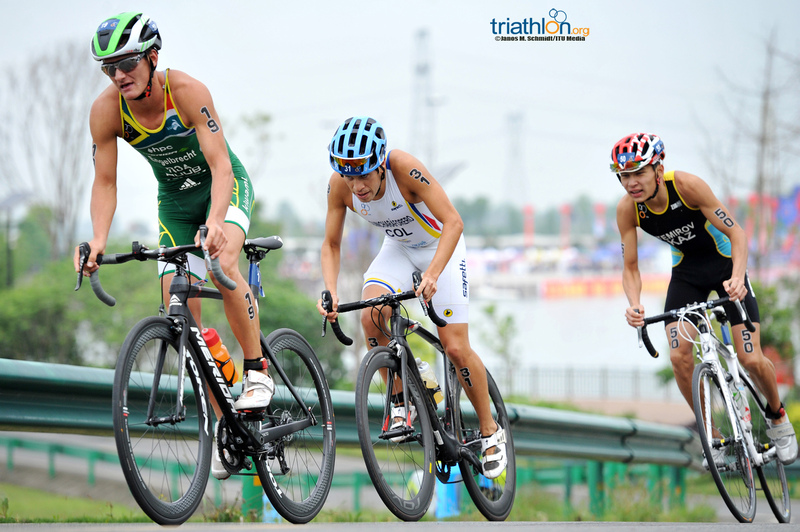 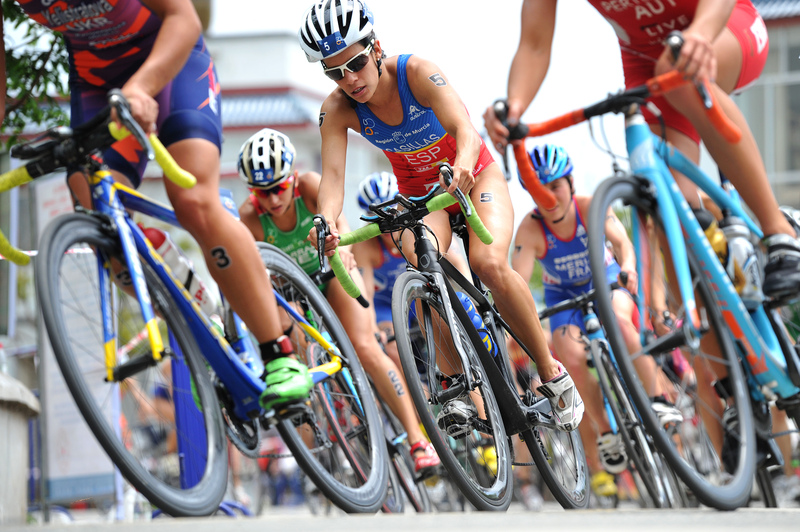 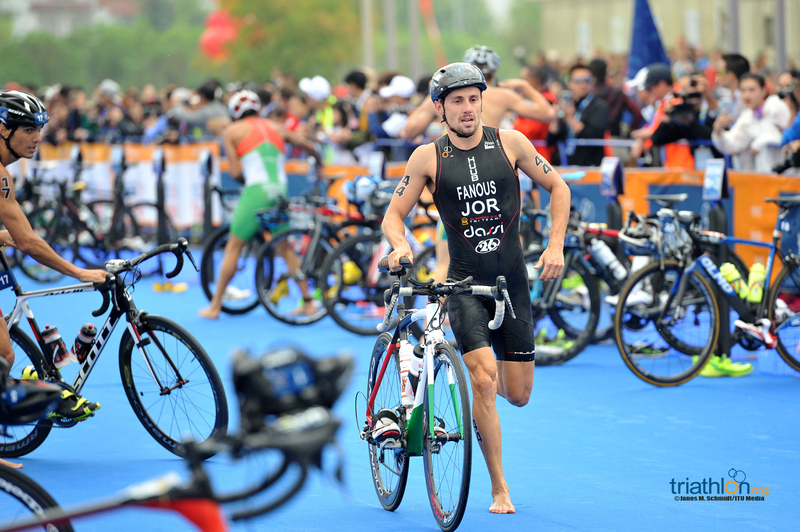 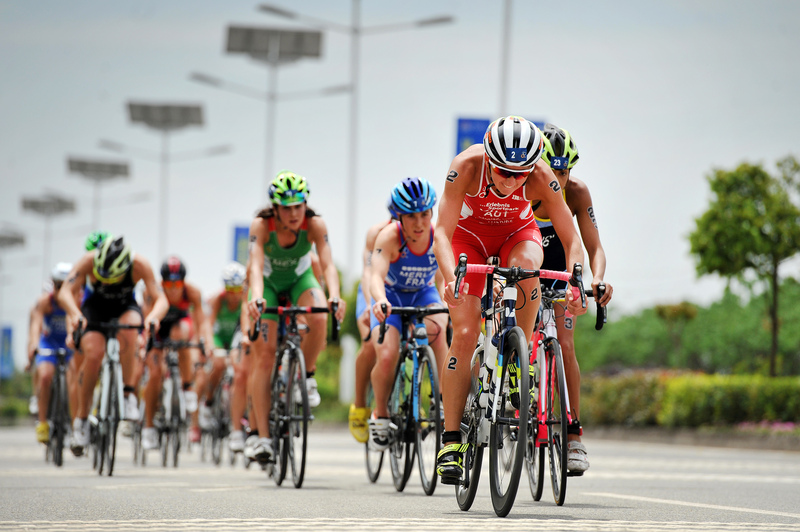 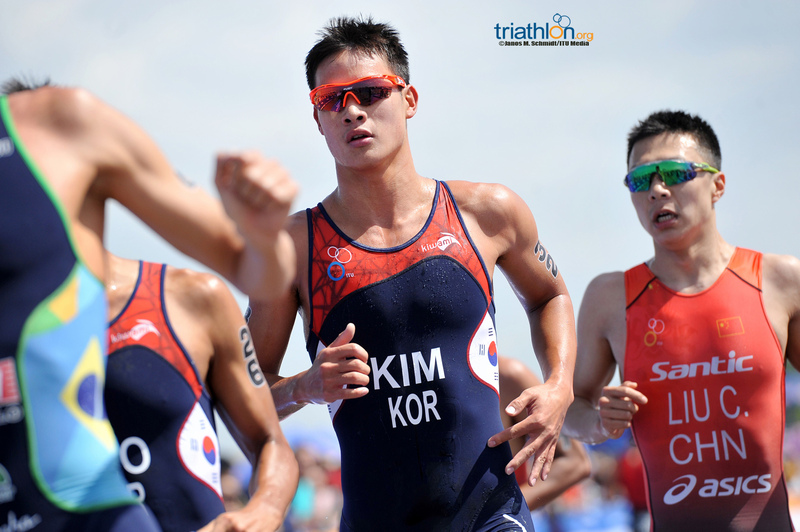 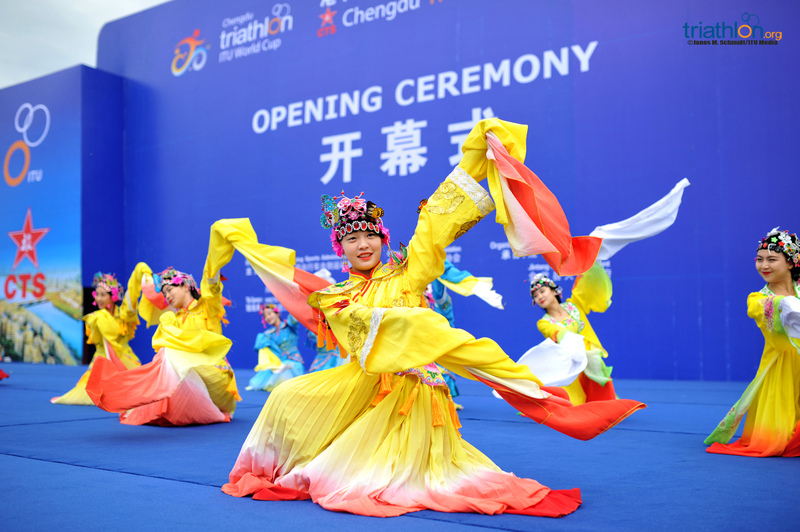 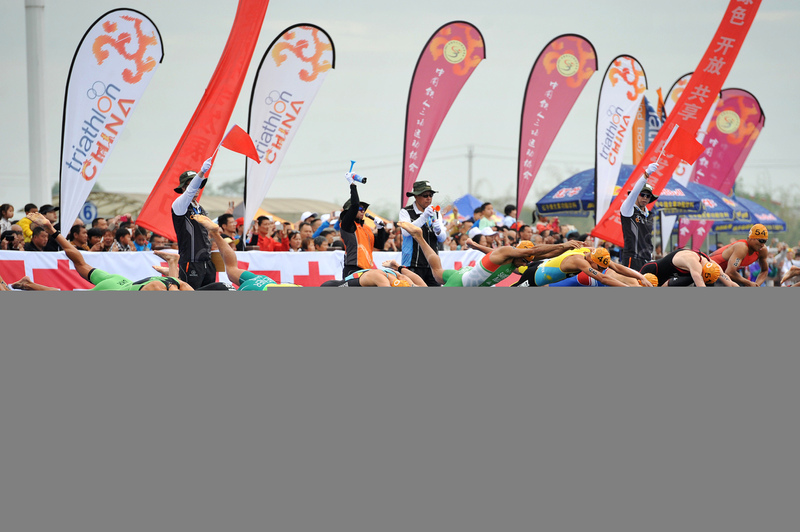 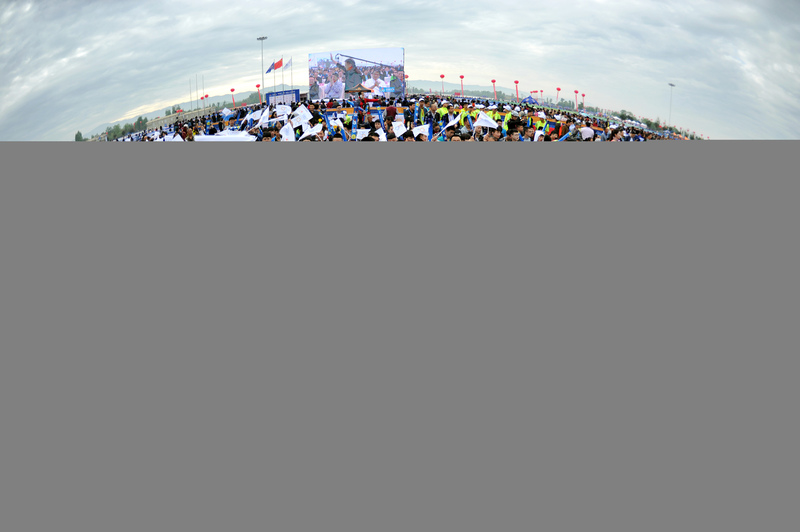 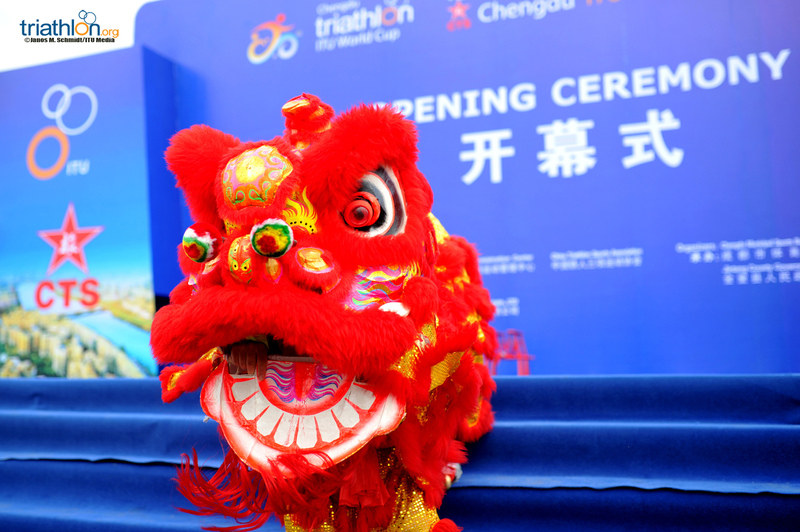 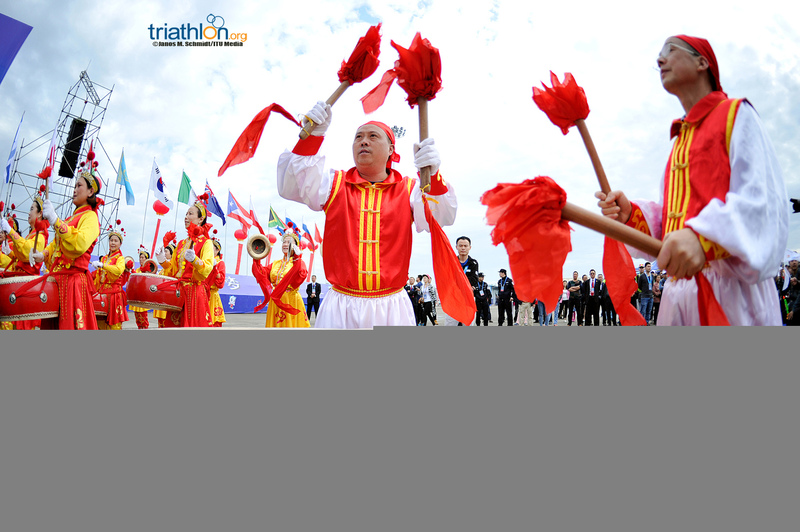 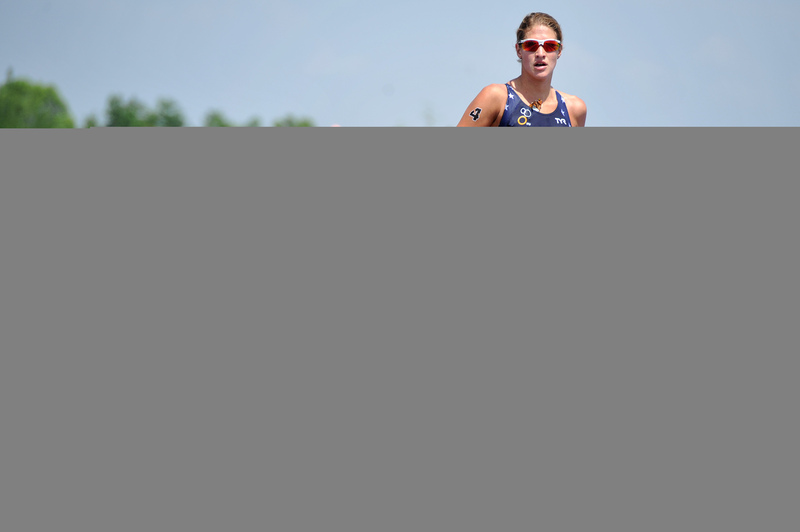 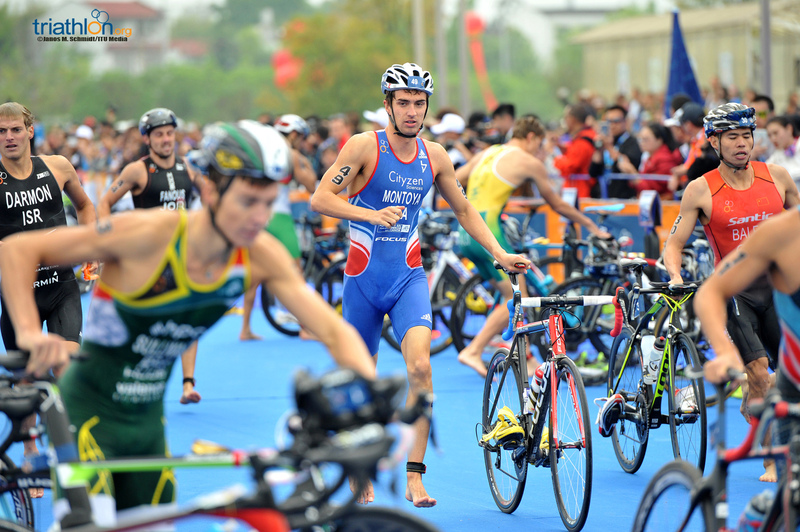 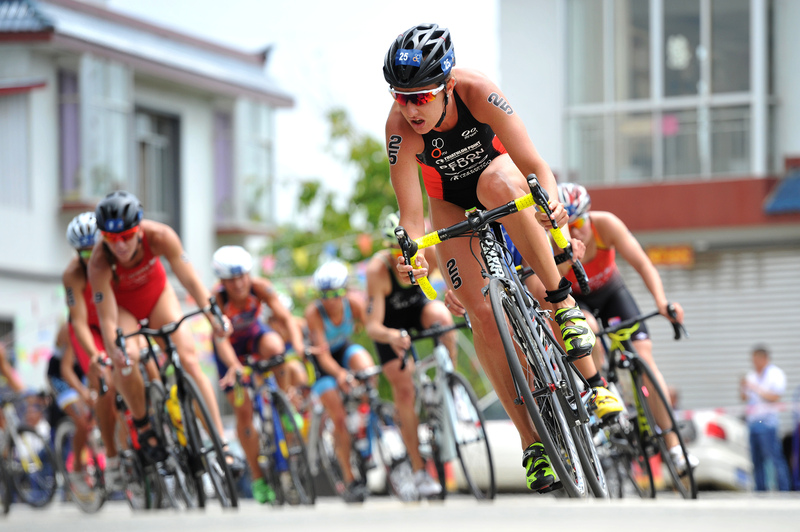 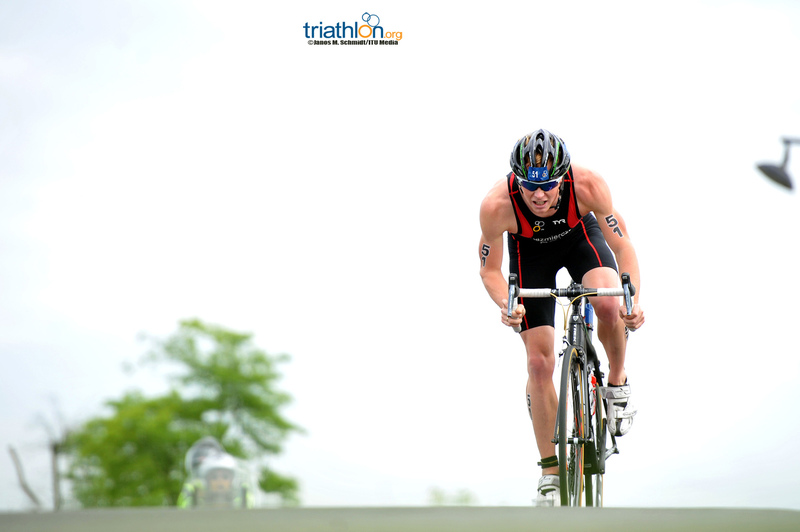 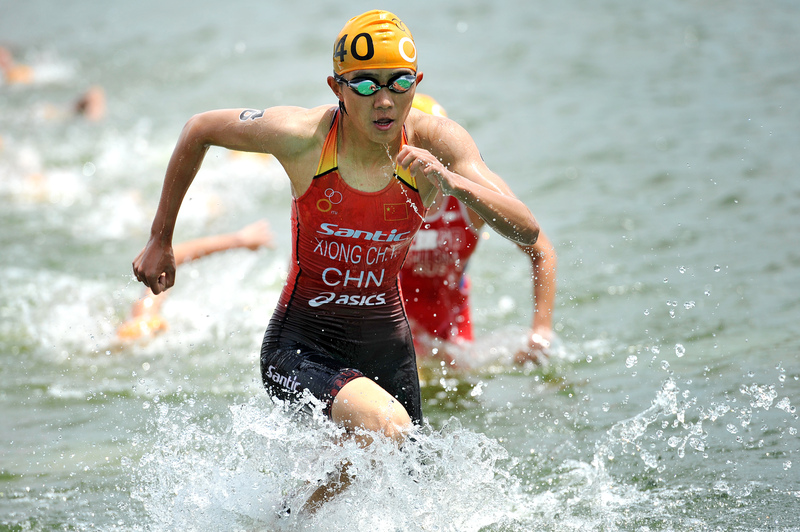 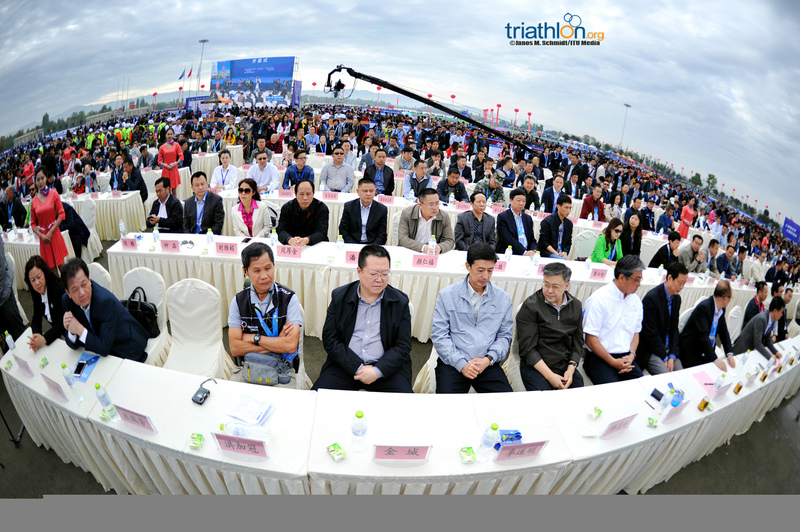 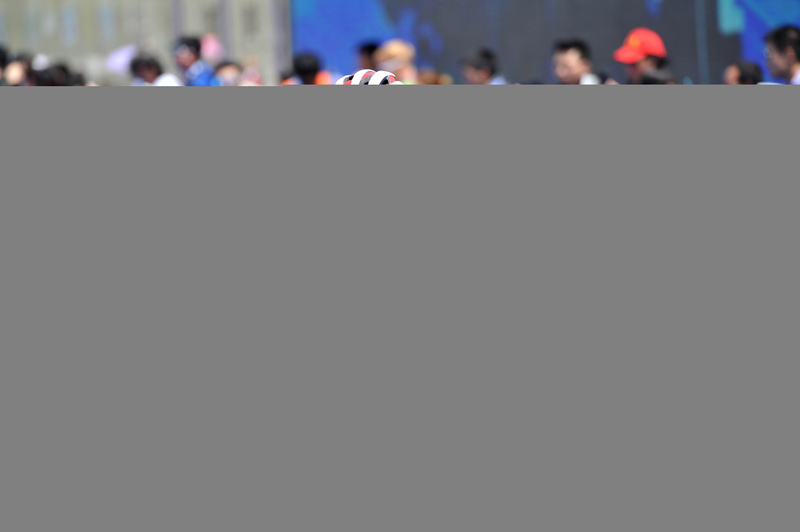 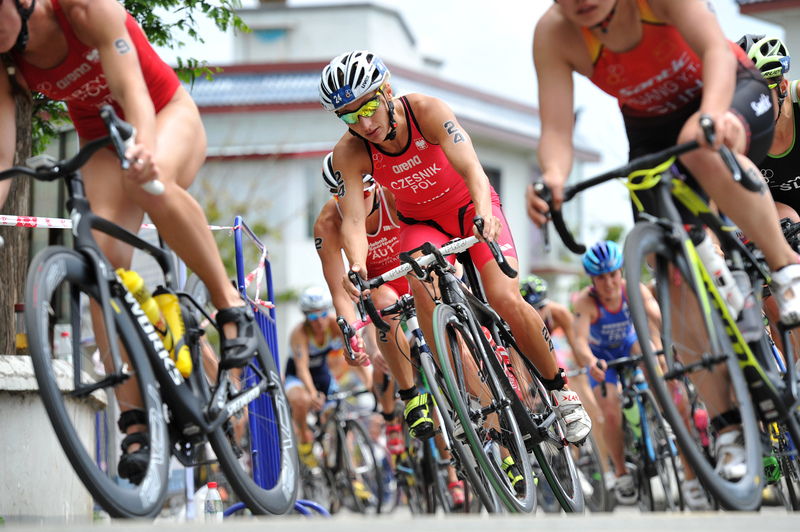 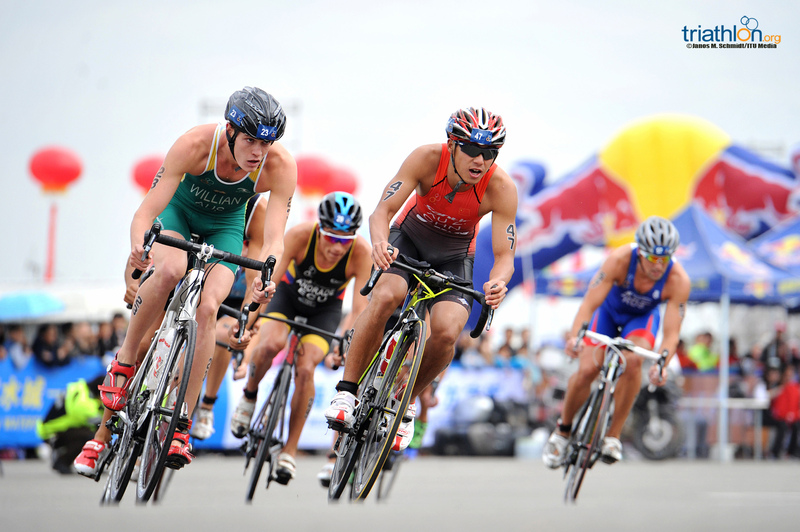 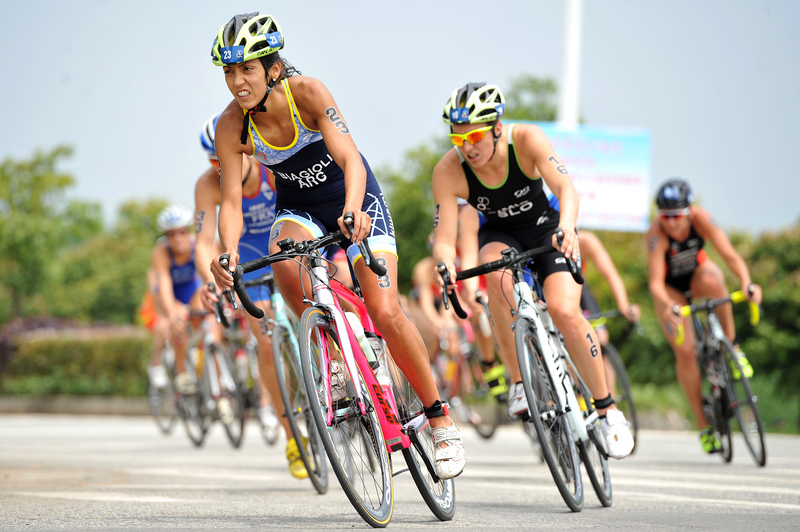 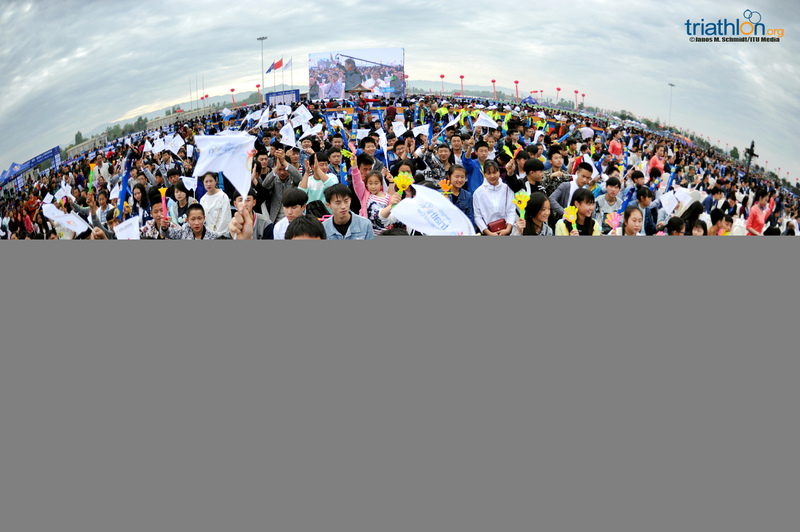 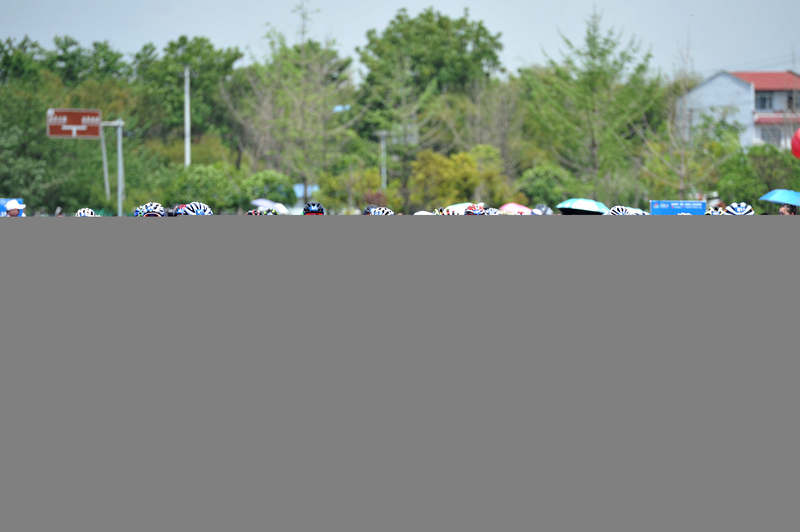 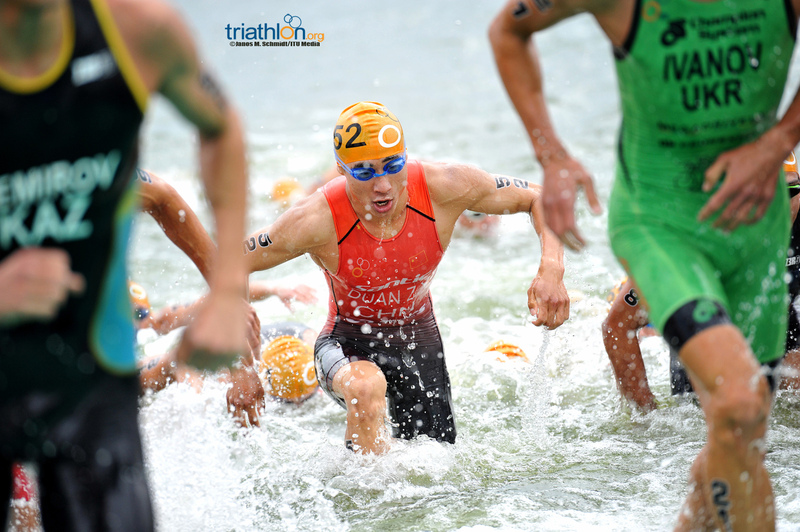 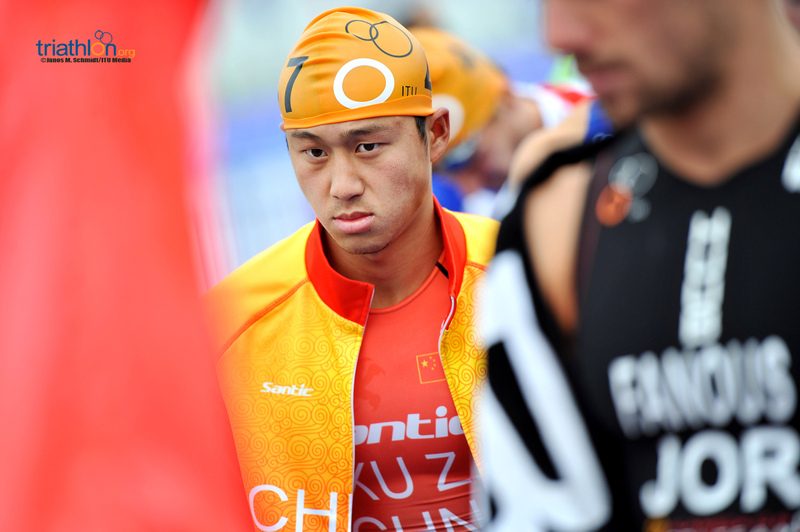 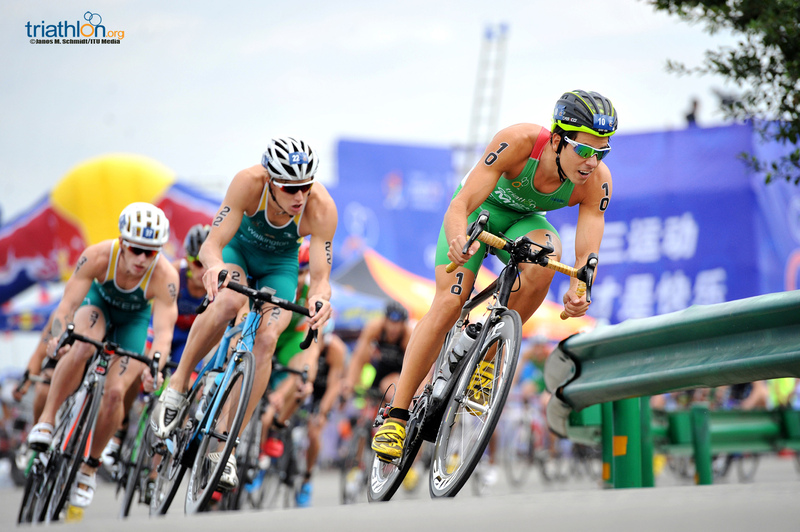 As the 2016 season continues in full force, the third stop of the World Cup circuit is already upon us with the 2016 ITU Chengdu World Cup set for this Saturday. With just over a month to until Olympic qualification closes, Olympic qualifying is on the line as athletes fight to earn valuable points in the hopes of competing in Rio this summer. 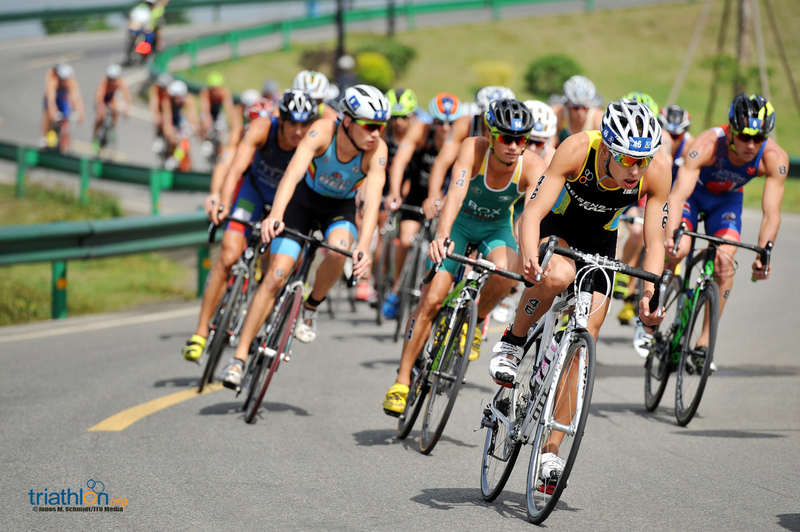 The elite athletes are set to compete on the standard-distance course, which offers a two-lap swim, hilly and technical six lap bike and four-lap run. 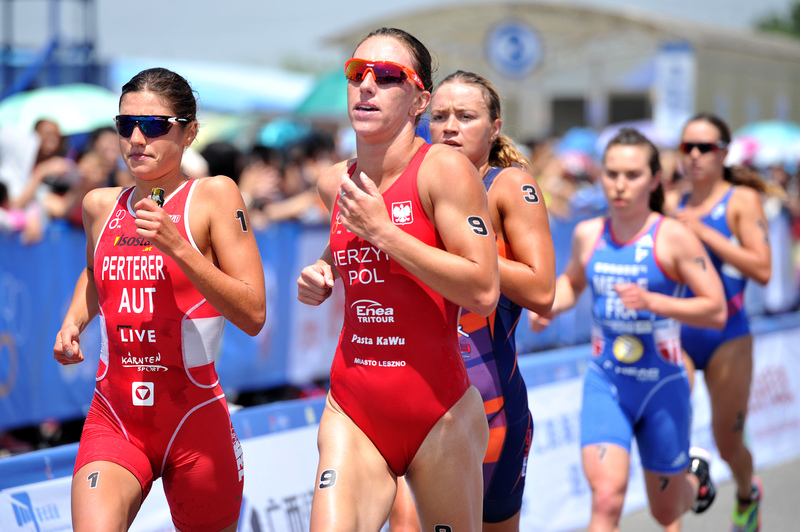 Topping the women’s field is Austrian Lisa Perterer, who has appeared on every World Triathlon Series and World Cup start list so far this year. 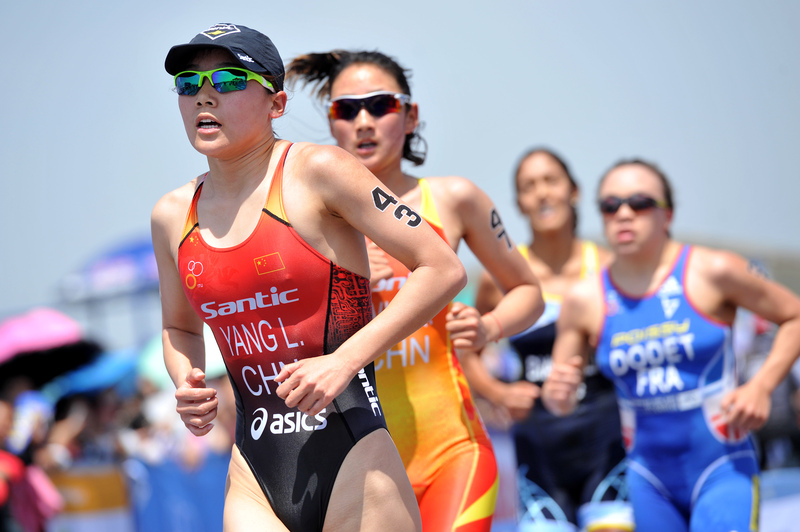 But after just completing her best finish to date, by placing in the top ten in the Gold Coast, her increasing momentum is sure to make an impact in China. 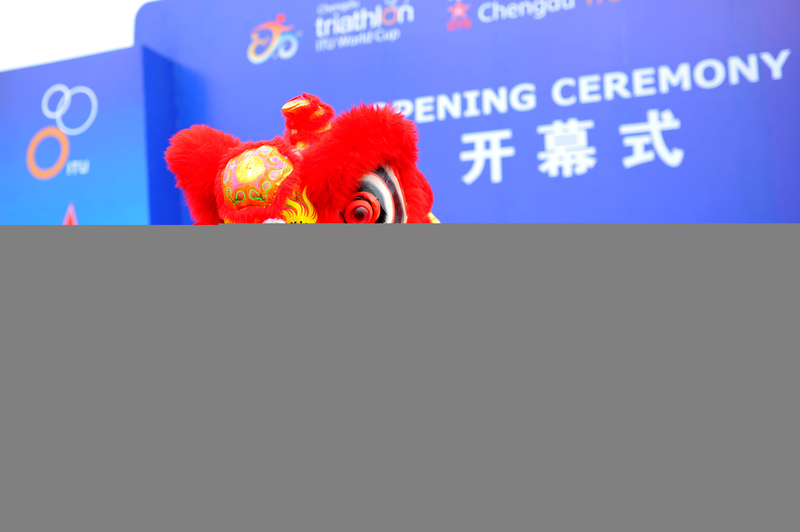 Last year, Perterer also took home the bronze medal in Chengdu, so it won’t come as a surprise when she attempts to return to the podium. 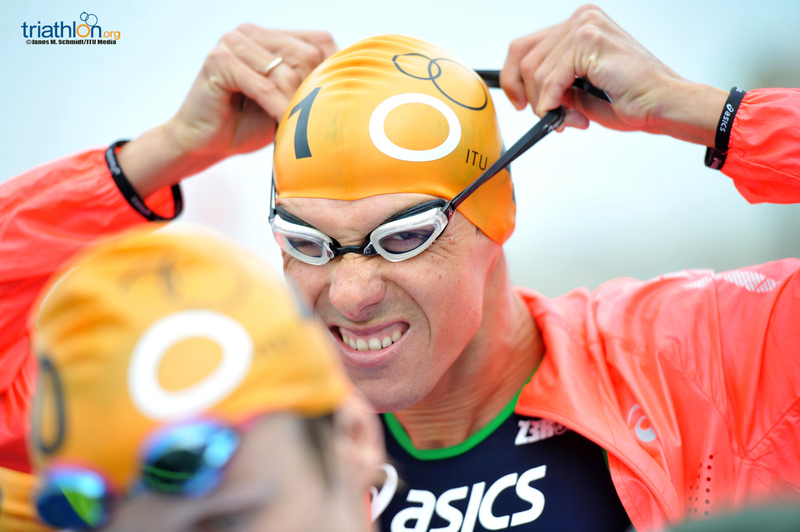 Austrian compatriot Sara Vilic will be lining up right behind Perterer. 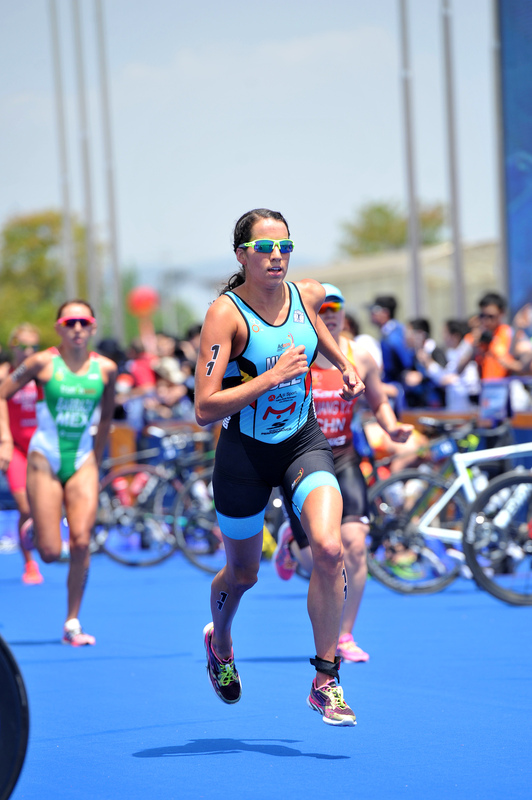 Vilic started out the season strong, by placing within the top-ten in WTS Abu Dhabi and then just barely missing the podium with fourth in Mooloolaba. 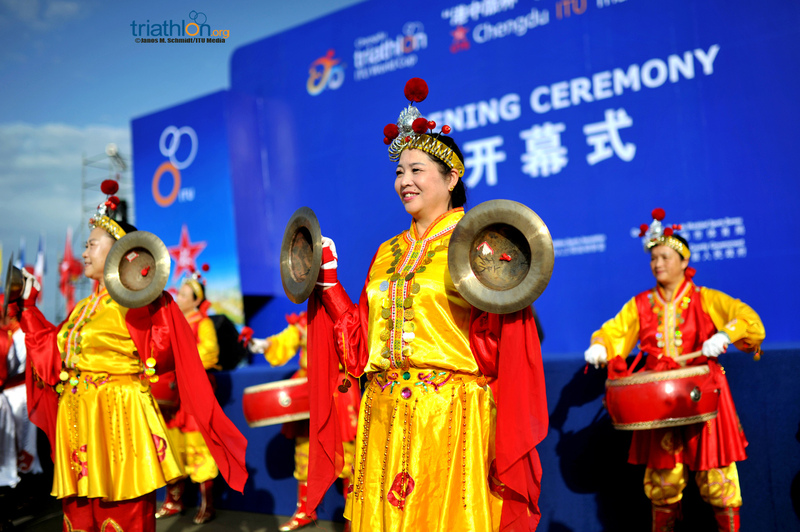 However, a string of bad luck has forced saw her “DNF”, so Chengdu is the perfect place to get back in the swing of things. 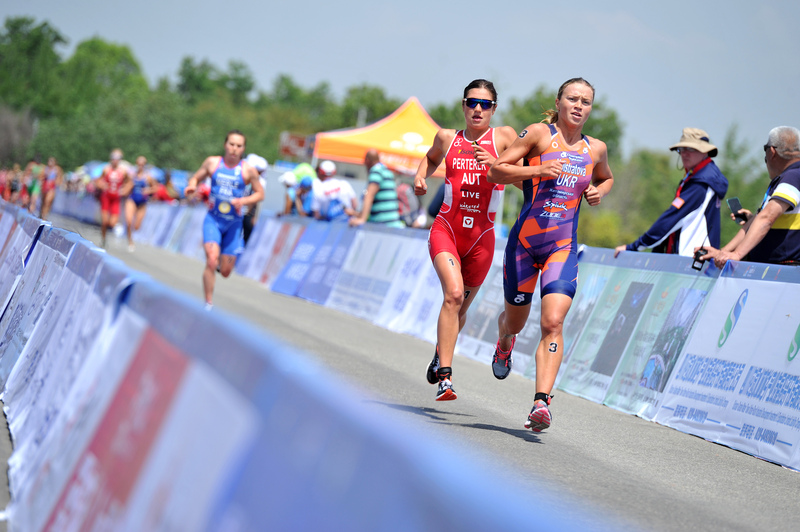 Last year’s 2015 silver medallist Arina Shulgina (RUS) marks the start list, and, like Perterer, will go for another podium. 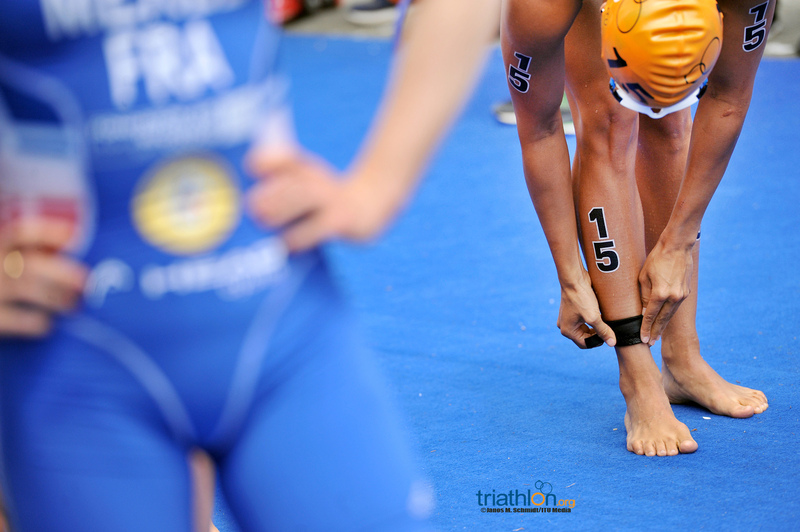 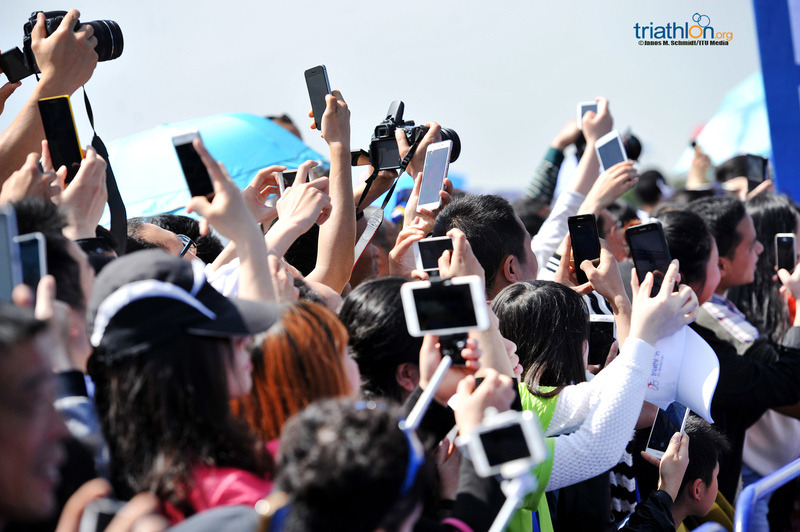 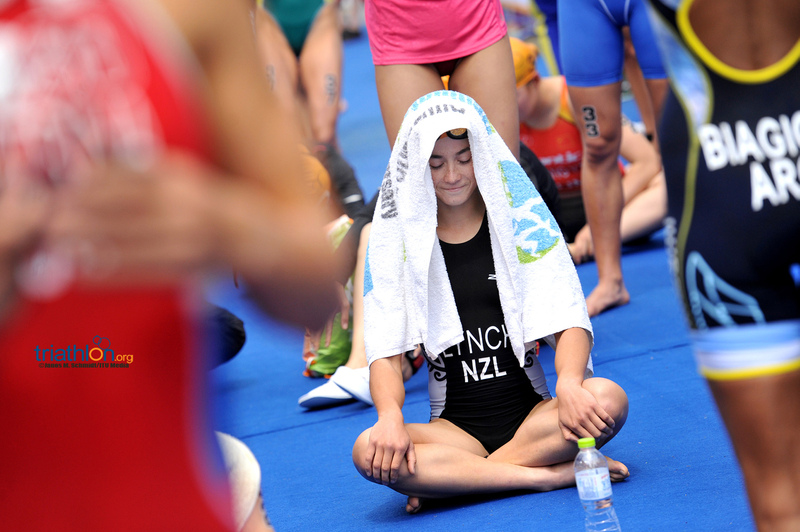 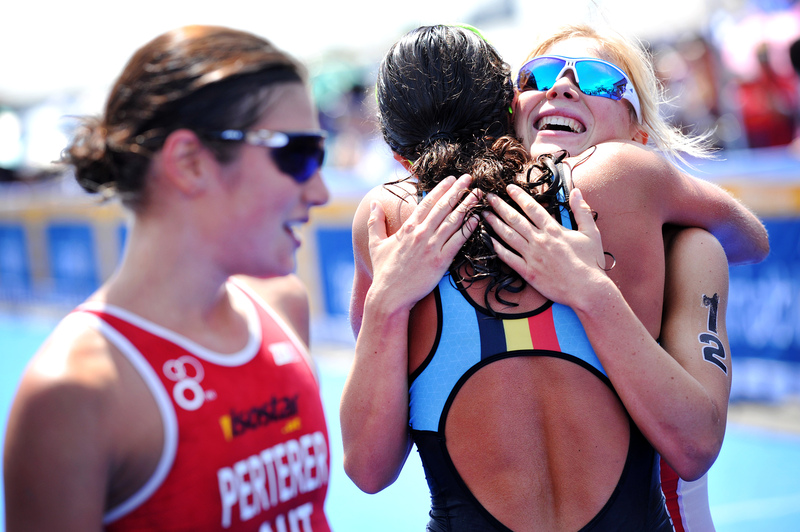 Audrey Merle (FRA) wowed the triathlon community when she was crowned the U23 World Champion in a photo finish. 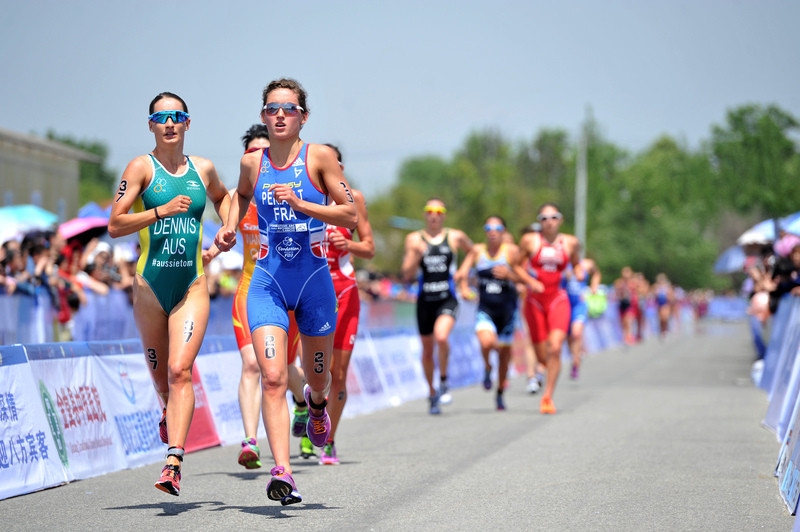 The French woman is now making strides in the elite category after earning a top-twenty finish in the WTS opener in Abu Dhabi. 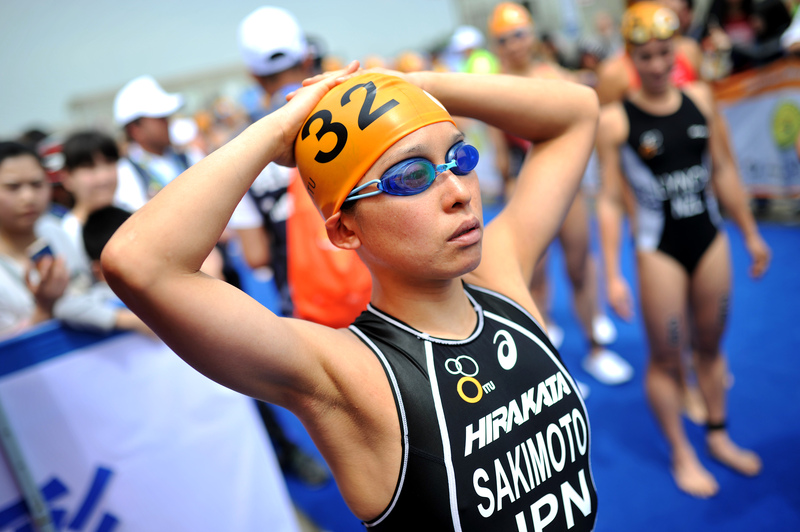 A talented runner with finishing speed, look out for this French lady in her first World Cup race of the season. 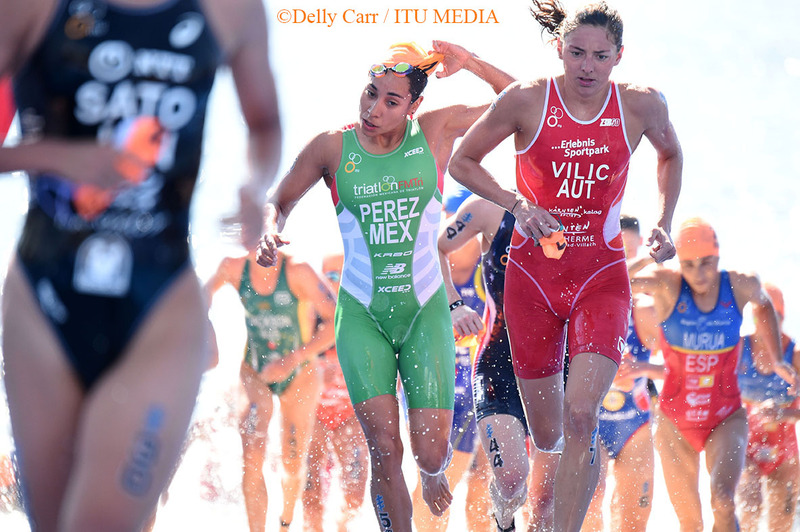 Chile’s Valentina Carvallo and Ukraine’s Yuliya Yelistratova are two women on the start list who both scored World Cup wins last year. 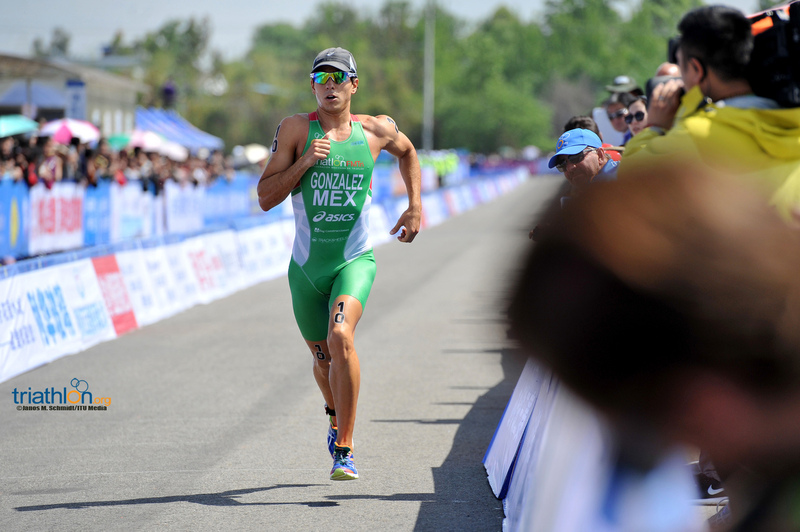 Carvallo claimed victory in Huatulco last year and has been working with Team ITU as a scholarship athlete, so has been able to benefit from top training and coaching. 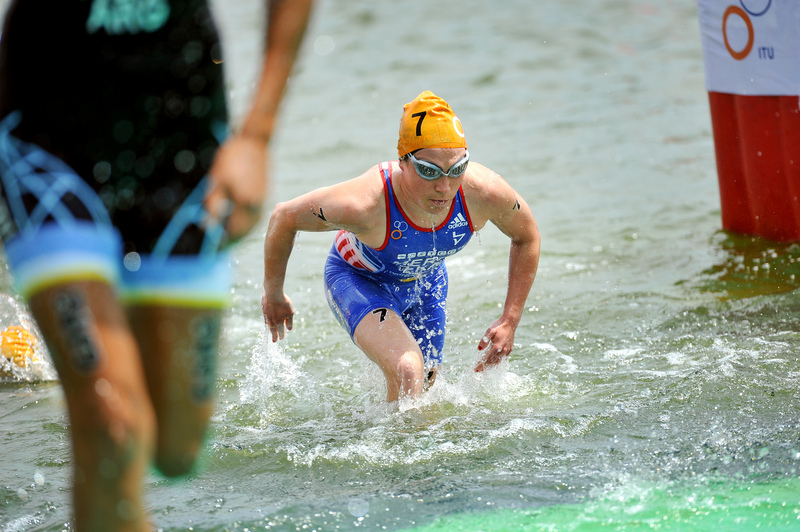 Yelistratova took the Alanya title last year and was her first World Cup victory since 2010. 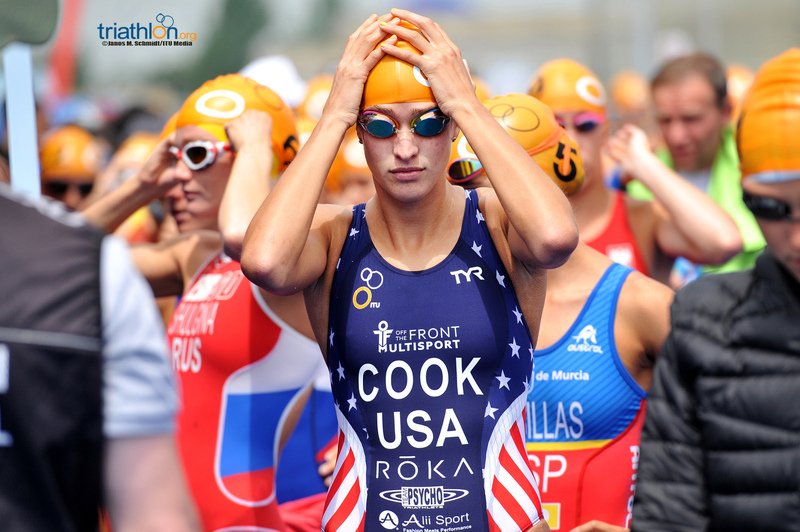 Other notable names for this Saturday is Spaniard Miriam Casillas Garcia and USA’s Summer Cook. 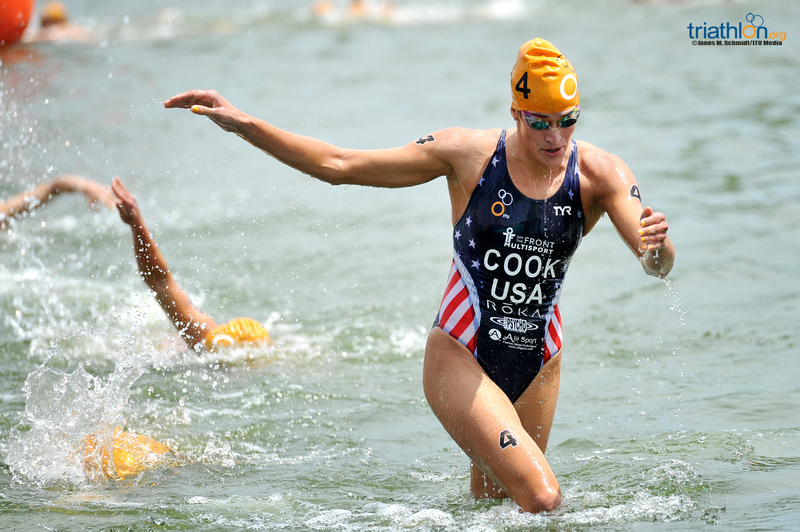 Cook is still a fresh name to the elite ITU world, but she earned a silver medal in Alanya last year and just finished eighth in New Plymouth in March. 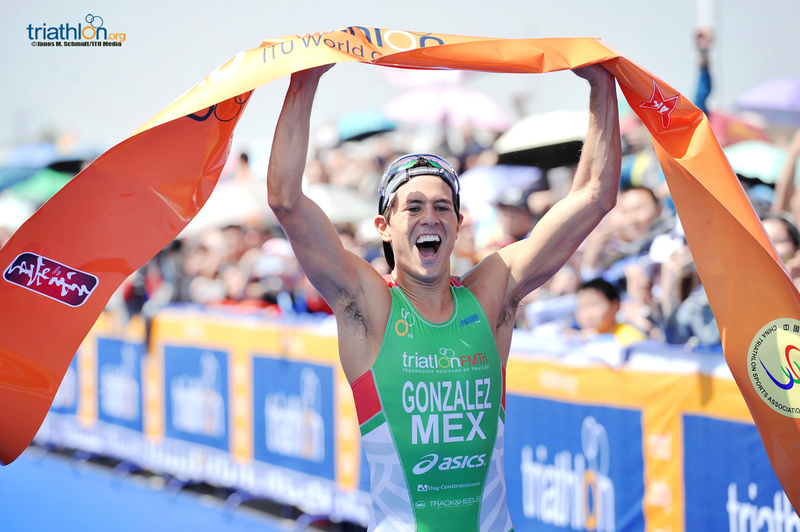 Casillas joined Cook on the 2015 Alanya podium as the bronze medallist, and has also had a strong 2016 World Cup career so far after placing 7th in Mooloolaba and then 5th in New Plymouth. 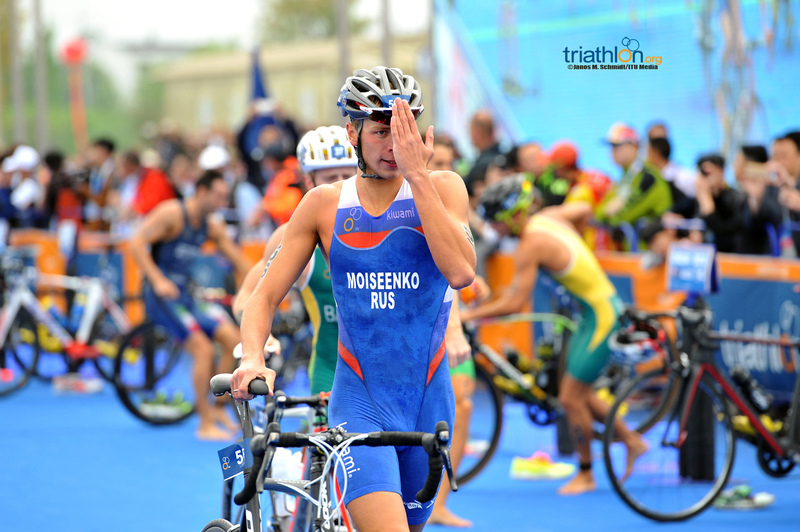 Rostyslav Pevtsov (AZE) has earned the right to be the number one name on the men’s start list after a strong start to the World Cup season. 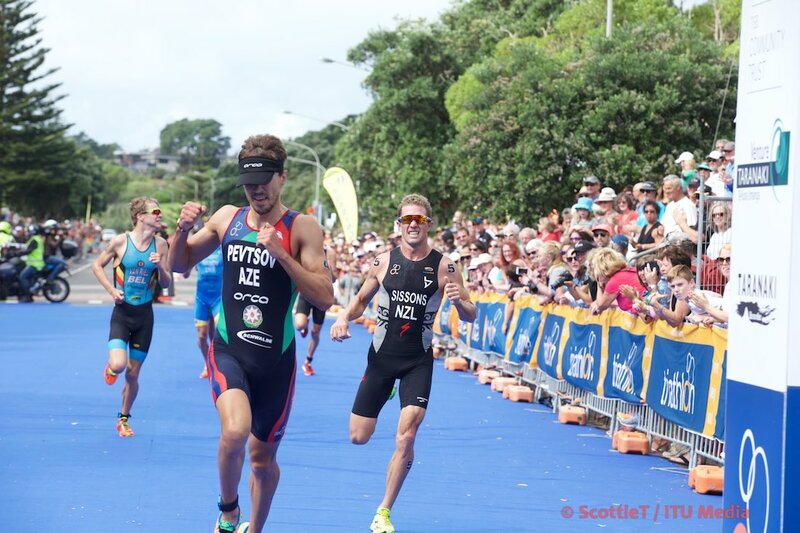 After just nearly missing the podium by coming in fourth in Mooloolaba, he fought his way onto it in New Plymouth by taking the bronze. 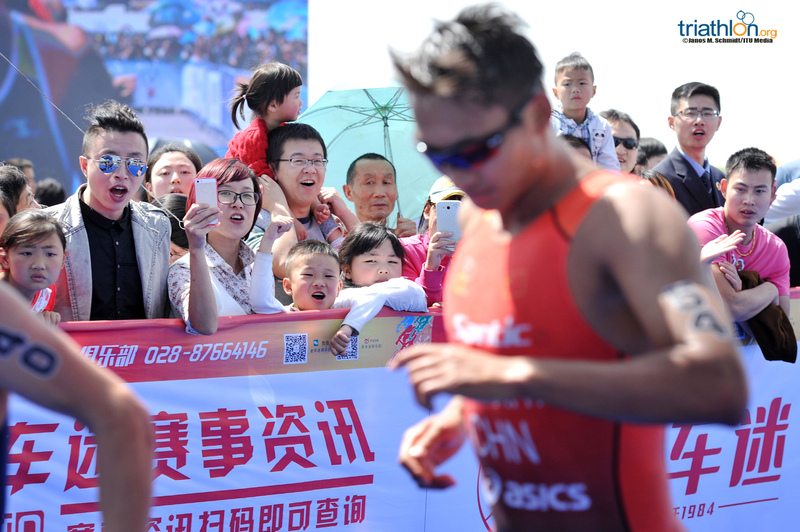 As one of the stronger runners in the field, the 2015 European Games bronze medallist also is the only returning man from last year’s Chengdu podium when he placed second. 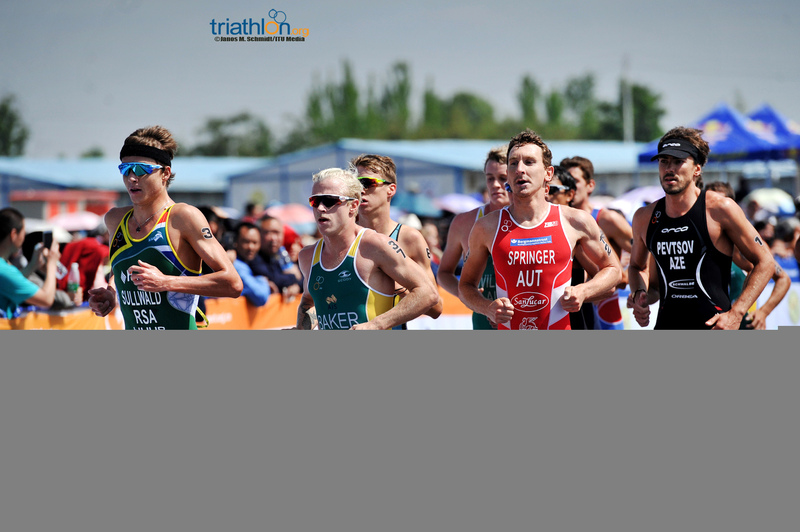 South African Wian Sullwald is officially making his World Cup 2016 debut this weekend. 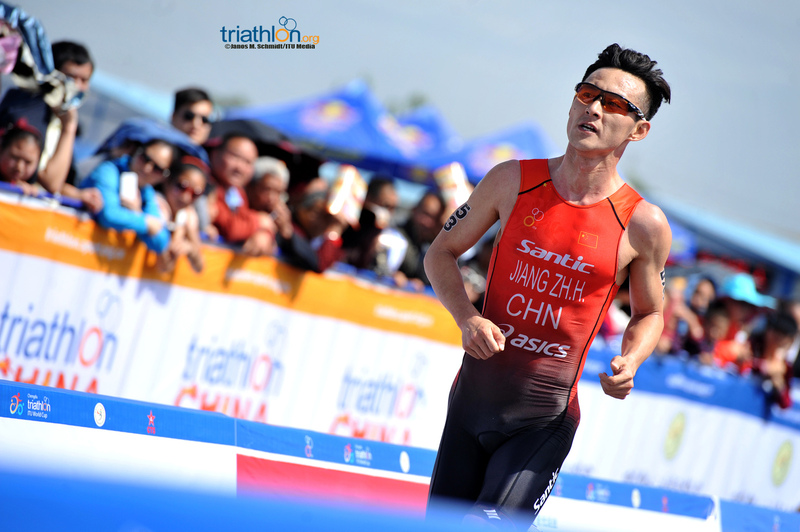 He has fond memories of Chengdu, as he won his first world Cup title here in 2014. 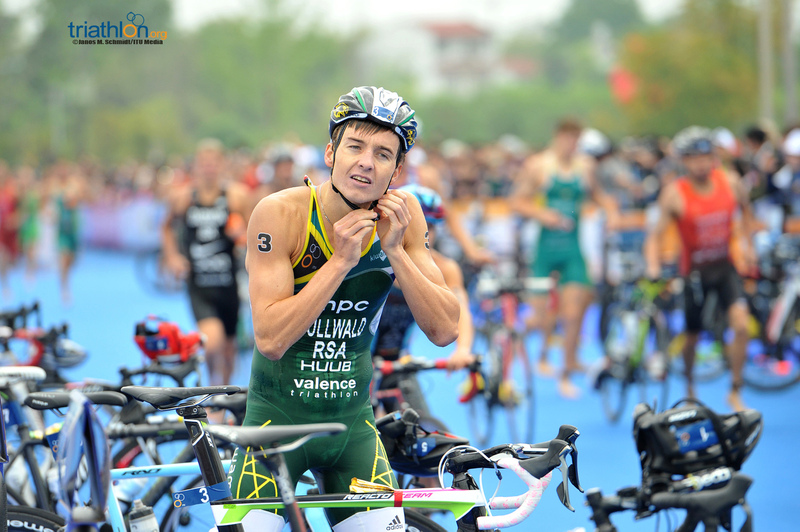 Sullwald is also going after crucial points to get South Africa a third men’s spot in the Olympics, raising the stakes for him in China. 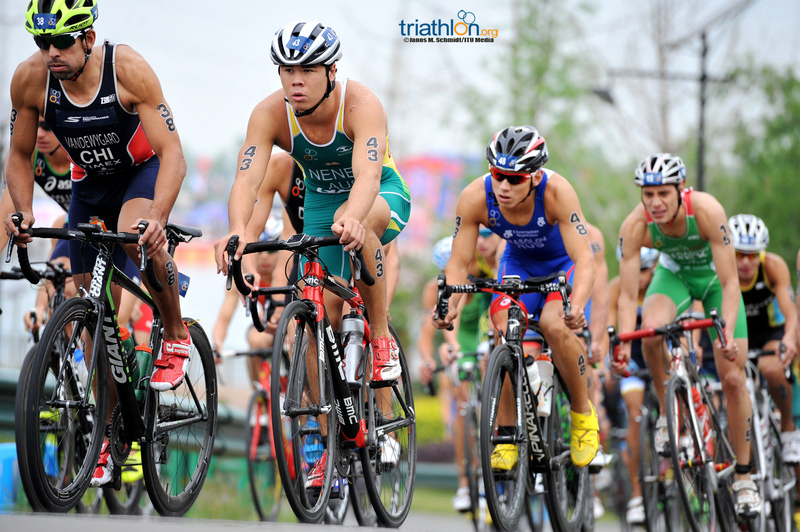 Compatriots Gonzalo Raul Tellechea (ARG) and Luciano Taccone (ARG) are also scheduled to race together. 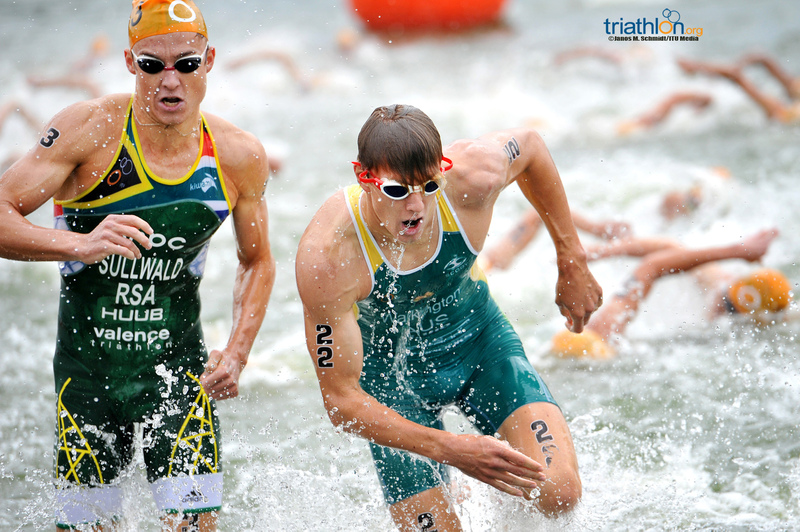 Tellechea, a 2012 Olympian, placed sixth in Mooloolaba, while Taccone has tried his luck and has been successful in some CAMTRI American Cups this year. 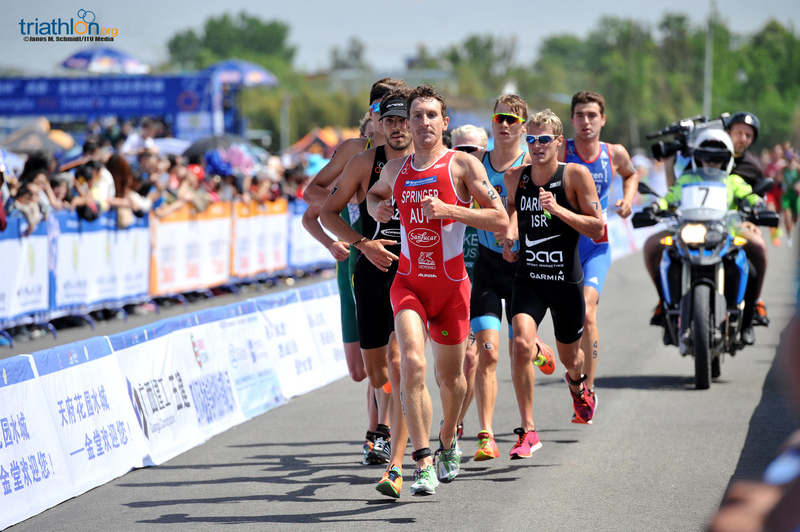 Both men will be racing Chengdu for the first time this weekend, so have the opportunity to leave their Argentinean mark on the city. 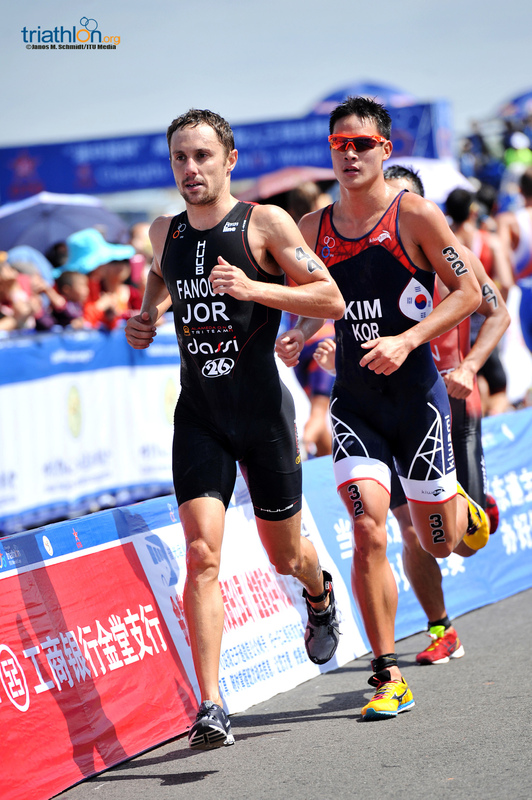 The battle for the new European flag position for Rio is still a close call for Ron Darmon (ISR), meaning he’ll need to keep an eye on Thomas Springer (AUT) this weekend. 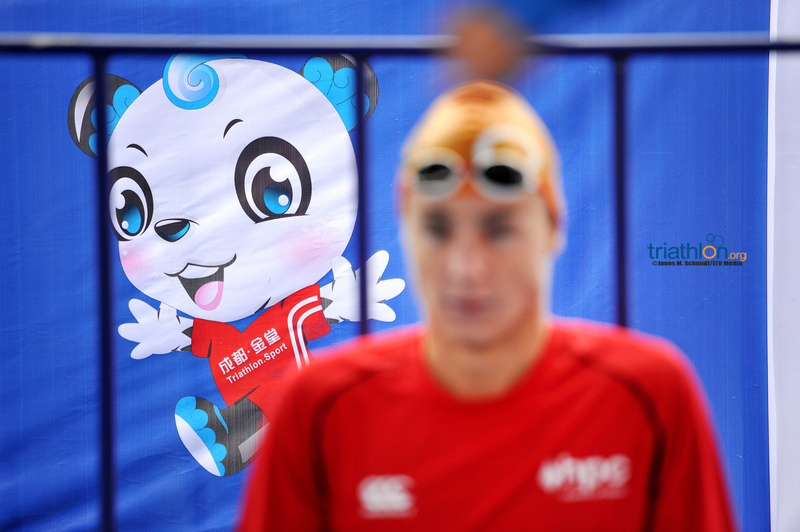 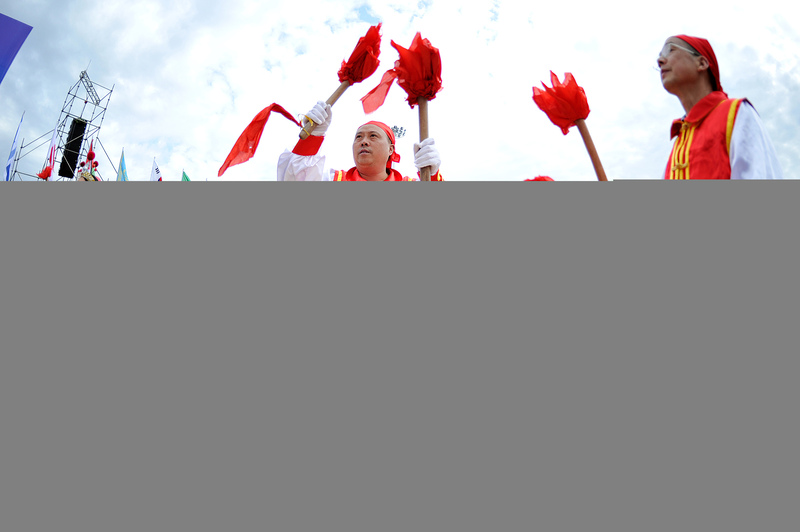 Every World Cup performance means adding more valuable points, so Chengdu is a chance for them to improve their score. 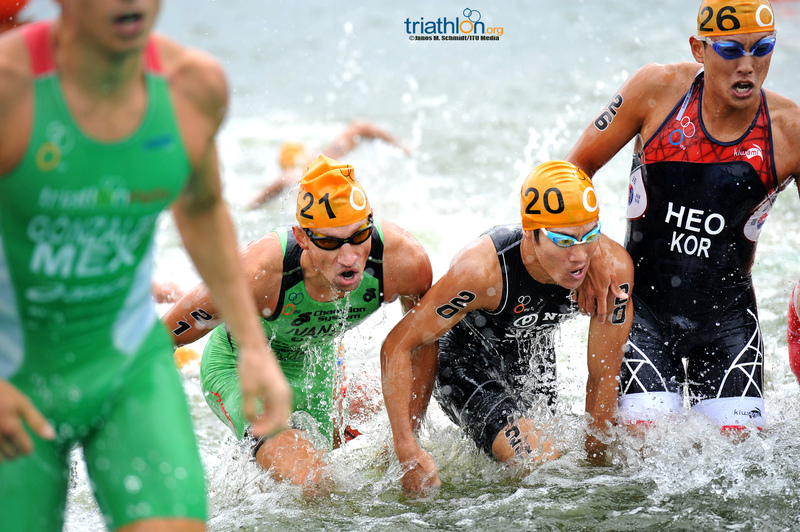 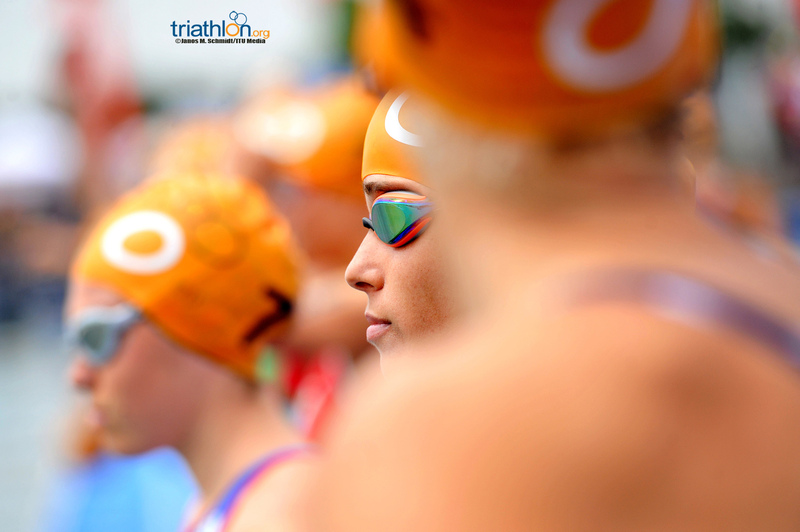 Team ITU will be at full strength this weekend with three women and three men looking to increase their chance of getting to Rio. 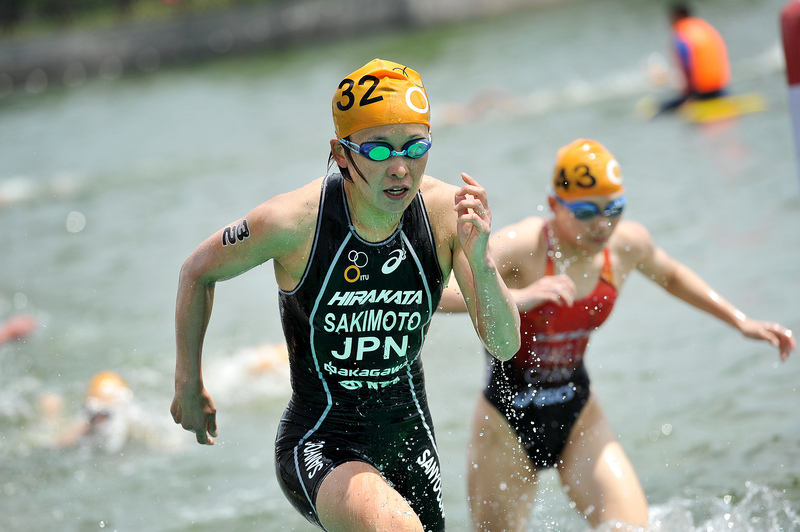 While Chia Chia Chang has her sights more on Tokoyo, her Team ITU partners Valentina Carvallo (CHI) and Mateja Simic (SLO) will be gunning for important points. 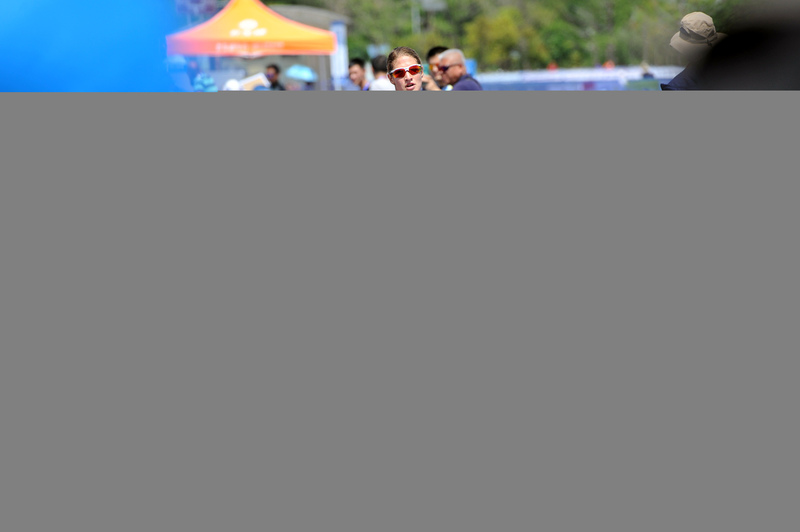 On the men’s side, Felipe Barraza (CHI), Manuel Huerta (PUR), Juan José Andrade Figueroa (ECU) and Lawrence Fanous (JOR) line up with the backing of ITU-appointed coaches and support staff to help get them ready to make an impression on the field.